Can anyone book Ultimate Thailand? Ultimate Thailand is limited to people aged between 18 – 39 years of age. We welcome people from any country. We accommodate solo travelers, couples as well as small groups of mates. I’m travelling alone. How will I meet people? 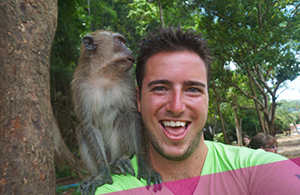 Ultimate Thailand is perfect for people travelling alone! You’re surrounded by other like-minded travelers for the duration of the trip, you’ll be mates for life with your group by the end! Members of the group even tend to stick together after the tour as they continue their travels through SE Asia! Our groups often sell out fast, especially if they line up with a Full Moon Party! To secure your place we recommend booking as early as you can, at least 2-3 months in advance! When are tour dates released? Generally, our tour dates for Ultimate Thailand run on every second Monday apart from a short break over the holiday period in December. The dates are released approximately 11 months in advance, so for plans far in the future just be sure to check in with us around then to see the exact dates. In some cases, yes, and the process is very easy! Citizens of 41 diﬀerent nationalities, including Australia, NZ, USA, UK and most of Europe, can enter Thailand without a pre-arranged visa. This ‘visa exemption’ allows you to stay 30 days when entering Thailand by air, and 15 days when crossing into Thailand by land. Without proof of an onward ticket and suﬃcient funds for your expected stay any visitor can be denied entry, but in practice this is a formality that is rarely checked. For more information about 60-Day Tourist Visas, Visa Extensions and Visa Runs click here. How much money do I need to take with me? The amount of money you should bring will depend upon the total length of your holiday and your spending habits. It’s very easy to get by in Thailand for as little as $20 per day. This will cover your food, basic accommodation and having fun. However, try and budget for at least $50 per day – it’s a once in a lifetime trip, so make the most of it. Is travelling in Thailand safe? Thailand is a very safe place to visit, as long as you follow some basic health and safety guidelines and have respect for the local people and culture. The most common dangers in Thailand are sunburn, dehydration and hangovers, however travelling in a group with Ultimate Thailand makes it even safer! Our tour guides have travelled Thailand extensively, and will share their experience, and local knowledge to ensure your safety throughout the trip and beyond. Yes, you sure do! Purchase a travel insurance policy to ensure you’re covered in case anything unexpected happens. Click here to get started. I will arrive in Bangkok before the Start Date. Is that OK? Yes, that’s totally fine. We can book extra nights of accommodation for you and help you arrange activities to do in Bangkok when you arrive. What happens after I book Ultimate Thailand? After booking you’ll receive confirmation and be contacted by the reservations team at Ultimate Thailand, who you can email with your questions at any time. Then all you have to do is arrange travel insurance and your flight to Bangkok – we’ll take care of the rest! Two weeks before you’re start date we’ll also send out a “Bangkok Welcome Pack” with heaps more info for you! What happens if my arrival date changes or my flights are delayed? No worries if your flights are delayed, just email us or give us a ring. We will let the guest house know and arrange an adjusted airport pick up! Please can change and we’ll do our best to help. Check out our full booking policy here. Your Ultimate Thailand Tour Guides will do their best to keep you safe and healthy in Thailand. However, one dodgy mosquito bite or a bad case of the runs could ruin your holiday (and your pulling-potential! ), so it pays to take a few sensible precautions. The following is a rough guide for vaccinations in Thailand, so we suggest seeing a GP with expertise in travel medicine who can review your individual health issues. Don’t forget to ask for numbing cream if you’re worried about pain from the injection. Malaria isn’t common the areas we visit, but stock-up on bug-spray in Bangkok as there are other diseases such as Dengue that are more common. What about the Full Moon Party? 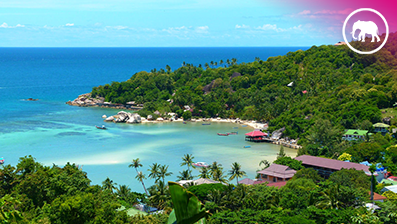 Your Ultimate Thailand tour ends in Koh Phangan, home of the legendary Full Moon Party! Many tour dates coincide with the Full Moon Party and if it DOES line-up then your group will definitely be going.. View our guide to the Full Moon Party. There is also the Half-Moon Party in the middle of the jungle which is a great time as well and if that lines up then we tend to go to that one too! If the tour does not line-up with any “official” party, no need to worry! We always organise Ultimate parties for you on Koh Phangan regardless! Where should I fly into? Out of? The tour begins in Bangkok so you would look to arrive at either of the two International Airports, Don Mueng or BKK. BKK is the new one and is a little closer to the city but arriving at either one is fine. Flights are generally cheaper if you were to get a return flight from Bangkok, you would just have to make your way back to Bangkok from Koh Phangan once the tour is over! How do I get back to Bangkok after the tour? After the tour we can help you get back to Bangkok or plan your onward travels around SE Asia. There are a number of ways to get back to Bangkok and you can even add onward travel options to your booking if you’d like to have everything pre-arranged.. Click here for travel options back to Bangkok. Got any other questions? No worries, mate! Simply get in touch and let us know how we can help. Done here, take me back to the tour page. Got some more time to explore Thailand? Check out Koh Tao.